Home Aqidah (belief) What is Kufr (Disbelief)? As salamu alaykum I heard some people who are not scholarly make a difference between “being a disbeliever” and “the state of disbelief” is there a difference in those, this people to sow doubt in my mind, because I read most of your fatâwâ as well as many readings dealing with belief in English and French, I did not see this difference I may have been inattentive. It is He Who has created you; and of you are some that are Unbelievers, and some that are Believers. Thus, a person being in a state of Kufr (disbelief) is void of Imaan and hence is a disbeliever (Kafir). If however, a person asserts a difference between “being in a state of disbelief” and “being a disbeliever” it will be technically correct if the term Kufr (disbelief) is not the absolute opposite of Imaan (belief) i.e. it is the lesser degree of kufr. As such, it does not take a person out the fold of Islam as it co-exist with Imaan. A person in such state (lesser degree of kufr/disbelief) is not regarded as a Kafir (disbeliever) rather he is still a believer, except that he is a sinner and transgressor. Disbelief and disbelieved refers to minor-kufr and not that disbelief which makes a person a Kafir (disbeliever). These are major sinful actions, not befitting of a believer rather they are actions of those who disbelieve. 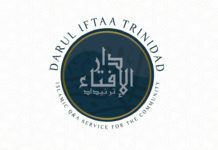 NB: If actions which are strictly prohibited (in such a manner that its prohibition is proven through explicit textual evidences in which there is no room for doubt), are regarded by a person as permissible and lawful then such a person he has committed major Kufr (disbelief) which removes him from the fold of Islam. This is because he declares permitted what Allah ﷻ made prohibited. We do not declare people of the Qibla (believers) to be disbelievers because of a sin they commit as long as they do not consider that action to be lawful. The apparent meaning of the Hadith indicates that a believer, at the time of fornicating, stealing or drinking wine is not in a “state of belief” and as such, necessitates a “state of disbelief” which would subsequently make a person a Kafir (disbeliever). The correct interpretation of the Hadith however, is that a believer, when committing these atrocities, does it while having a low degree of belief (Imam). A “lower/lesser state of Imaan” co-exists with a “state of lesser kufr” as one is a result of the other. In conclusion, there is no difference between “being a disbeliever” and “being in the state of disbelief” if what is meant by “disbelief” (kufr) is that which is the absolute opposite of Imaan i.e. that major-kufr which takes a person out of the fold of Islam. If on the other hand, kufr, which is not the absolute opposite of Imaan is meant then there will be a difference except that it will also be totally incorrect and impermissible, to refer to such a person as being in the “state of disbelief”. Previous articleIs one allowed to make zikr on a tasbeeh, or should one use only his fingers? Next articleAre the Sahaba who accepted Islam after the Conquest of Makkah promised Jannah?